Metazoica: New Page: The Flightless Birds!! New Page: The Flightless Birds!! I have made a new page for the flightless birds of the Metazoic. It is a non-flash page, as I really am trying to eliminate all the flash pages. Now the site is appearing more like an online book about the future of evolution. 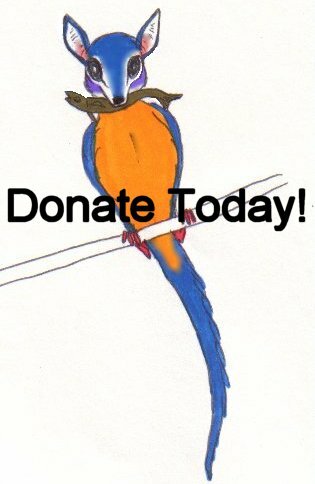 Anyway, the page can be viewed here: http://www.metazoica.com/FlightlessBirds.html. I even included the newest flightless bird creation of my project, Apteropsittus. It is a flightless parrot of the Antarctic region. In the future it is believed the Antarctic will be more like the Arctic and have some timber zones. That is where this flightless parrot will make it's home. In the future of the site, I plan to have book referrals about the subject of future evolution. Believe me, I will only have links to books I myself would recommend to anyone. I will not have a link to the book for The Future is Wild, as I found it to be a very big disappointment!! When I do that, I will put my own commentary about each book based on what I've read. I have quite a few books on the future of evolution, including my own, which once I make some changes and additions to my checklist, I might make that available on the site too. So all can see what I have done over the years. But this is a project that may materialize some time in the next few years. Not right now. There are still some books I have not read yet and I want to get those and get some commentary done on them. What else lives in the Anatctic in the Metazoic? So far, some bats, a species of lemur (Frissa) and a species of rat (Policomys). But my list is constantly growing. Maybe it would be a good place to put some non-mammals. Well, the Metazoic is supposed to represent an Age of Mammals. Mammals are supposed to be dominating. But I am open to a few new ideas if you'd like to share. I did actually have a couple ideas for Antarctic animals-mostly birds, seeing as there are so few mammals there. Do what you like with them. Daspletorhynchus- an eagle or condor-like descendant of the giant petrel. Has a 10-foot wingspan. One of the few large flying birds on the Metazoic. Struthiochion-a 6-foot-tall flightless descendant of the Sheathbill. Very nice ideas. :) I don't have a list of birds just yet, but I will keep these in mind. I've been thinking of doing lists for all animals of the Metazoic. But for that I would need a lot more ideas than what I have now. New Family Posted: The Armadillos!!! New Family Posted: New World Monkeys!!! New Family Posted: the Pseudosims!!! New Updates Added: The Fruit-Eaters And Others!